Abattoir S.A. is actively busy building its future. By reading these pages, you will learn more about what is happening at Abattoir's or what we directly or indirectly are involved in. 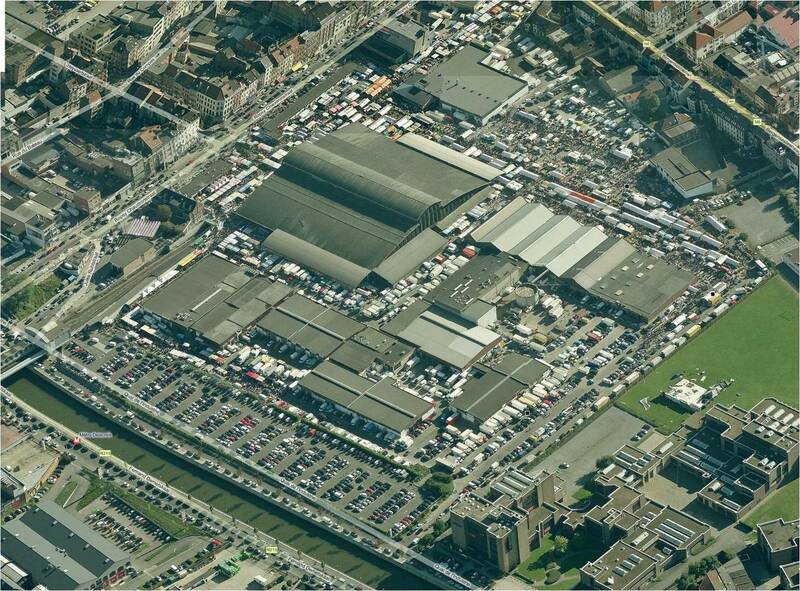 Now that the Brussels pentagon is expanding, the Abattoir site is becoming all the more important within the Brussels capital region. The pressure to live/work in this area is constantly growing and brussels is gradually spreading into the direction of Molenbeek and Anderlecht. The canal area too is quite recently being rediscovered. It is Abattoir's duty to take advantage of this (r)evolution. With a surface of land of about 30 acres, Abattoir takes pride of place, situated right on top of the Metro line (subway) connecting the "South" railway station with Brussels Expo, a place where lot of changes are about to take place in the very near future. Quite a few architects and urbanization specialists have given their opinion on how Brussels should be looking like in the future. The Abattoir site often got different roles to play in such scenarios. Some plans even suggest that all activity should disappear completely, so no more slaughterhouses or markets anymore. That's why Abattoir has taken the initiative of coming up with its own vision on the future, the so-called Masterplan. In the navigation top left, we give a list of all projects that are part of this plan, such as the renovation of our classified market hall, the new food hall with a green roof (Urban Garden), Velomet, residential plans, etc.